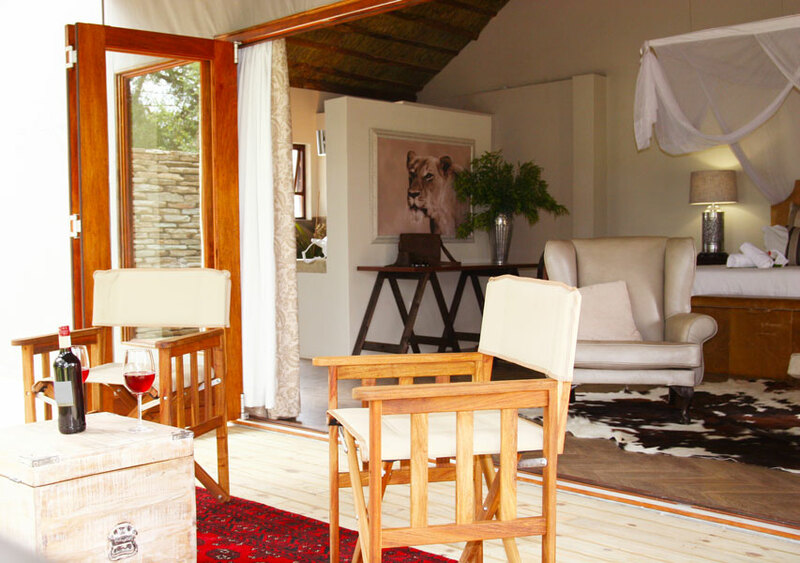 With the capacity to accommodate 20 Pax in luxury safari suites, each unit boasts views of either the Makhutswi River or a popular waterhole, providing excellent game viewing possibilities. Relaxation and rejuvenation is promoted with a calming colour palette of silver, charcoal and elephant-grey; full amenities and memorable experiences. 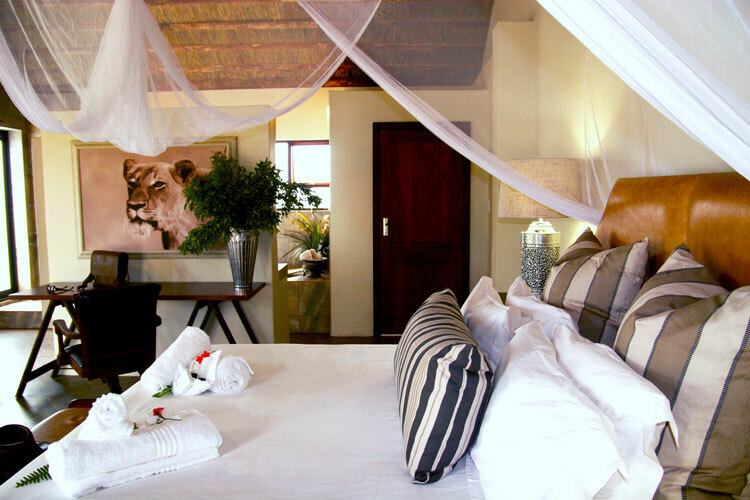 Each air-conditioned suite is fitted with its own deck, spacious interiors and a high-impact design scheme aimed to bring the outside in. Interesting material combinations of locally-sourced wood and steel connect with an unparalleled backdrop while contemporary, intrepid visuals elevate the elegant atmosphere. 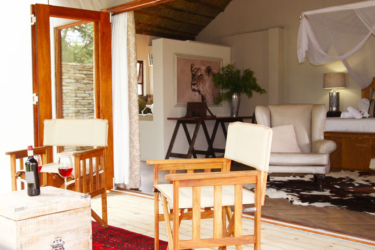 Made of brick, metal and canvas, these unique suites designed with tin roofs awaken the senses by incorporating the outside sounds of the bush.